This will make 4 servings. Enjoy! 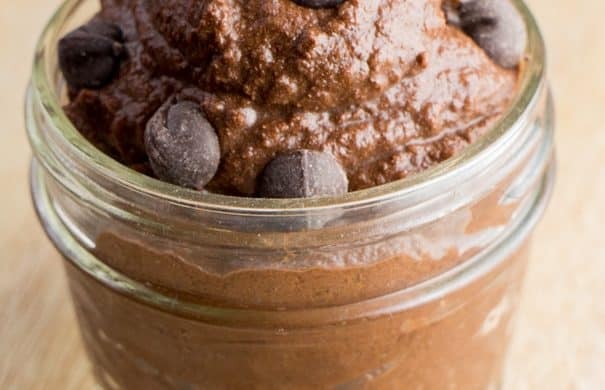 Chocolate Chip Pumpkin Pudding recipe. 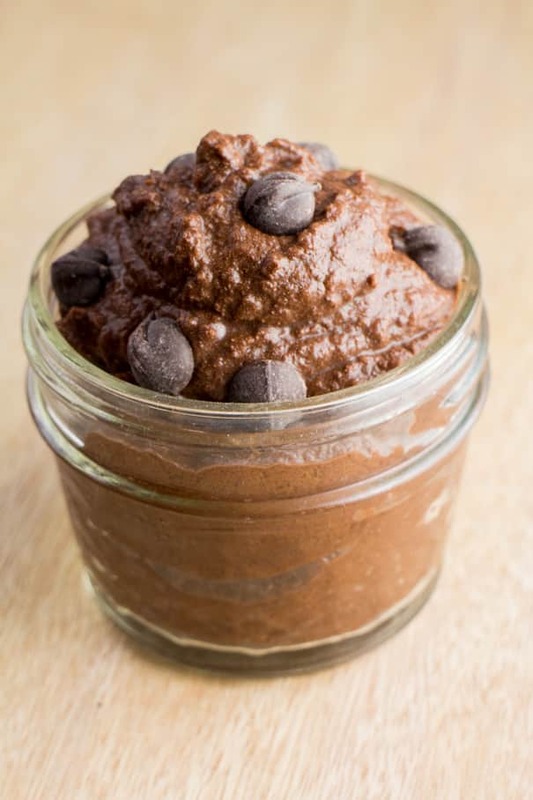 This vegan pudding can be great as delicious healthy desserts or snack! You can also serve this as healthy baby food. Chocolate and pumpkin is a great couple, aren’t they? I mentioned on Monday that we just used up our last bag of homemade garden tomato sauce that I froze. The same goes for pumpkin! When making this pumpkin pudding, I had to reach for my last bag of frozen pumpkin puree. I’m always a bit sad seeing the last bag gone, but it’s a great feeling knowing all the vegetables get used with love. We just planted our pumpkin seeds last week so already I’m planning for some Summer pumpkins! Are you guys ready for the pumpkin dance? Prepare yourself… hopefully, I’ll be dancing with happiness soon! Lots of people think Pumpkin is only for Fall months but I don’t agree with that. I think Pumpkin is great for the summer months for cool treats. Besides this chilled pumpkin pudding, what about pumpkin pretzel fudge or pumpkin milkshakes? Delicious, right?